Join the Lyons Primary Planning Area team at Rogers Hall tonight to participate in the tenth and final public planning workshop for the Lyons Primary Planning Area. This open house-styled event will feature new renderings/illustrations of potential future development in the Eastern Corridor and recommendations for future land uses in the S. St. Vrain and Apple Valley sub-planning areas. There will be a short presentation and opportunities for feedback. This will be the last opportunity to weigh-in before the final plan is submitted to the Town. Food will be provided - including Matt Manley’s “Shut-your-mouth” Southern Style Mac & Cheese. Please direct questions to Flood Recovery Planner, Matt Manley at mmanley@townoflyons.com. Location: Rogers Hall, 408 High St.
Ballots are mailed to all active registered voters the week of October 17. Check your registration at www.BoulderCountyVotes.org. October 31 is the last day to register and still receive a ballot in the mail (otherwise you need to register and vote in person). Voting in person is also available beginning October 24. Locations and hours of operation are listed in your mail ballot packet or online. • Ballot drop-off and voting services available 7 a.m. to 7 p.m. Ballots must be received by 7 p.m. to be counted. 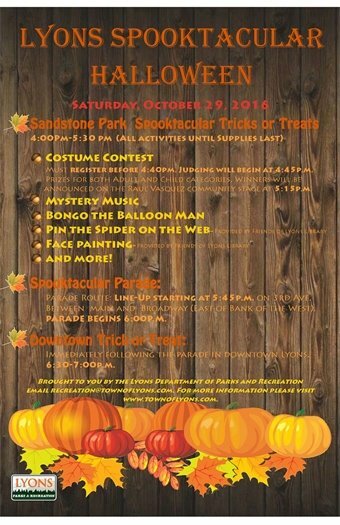 Lyons Halloween Spooktacular Parade and Festivities Lyons Halloween Festivities will be held on Saturday, October 29, starting in Sandstone Park from 3 to 5:30 pm. Be sure to check out all the fun activities before the parade, including live music, spooktackular games and all sort of tricks and treats for ghouls and goblins. The parade line up will begin at 5:45 pm on 3rd Ave., between Broadway and Main St. (east side of Bank of the West). The parade will start promptly at 6 pm. Area residents are encouraged to dress in fun and unique Halloween costumes and march in the parade this year! 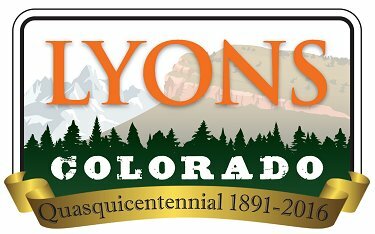 If you are interested in submitting an entry into this year’s parade (other than walking in your costume) please contact Lyons Parks, Recreation and Cultural Events Department at 303-823-8250 before the parade, so staff can make appropriate accommodations. Immediately following the parade will be the annual downtown trick or treat. 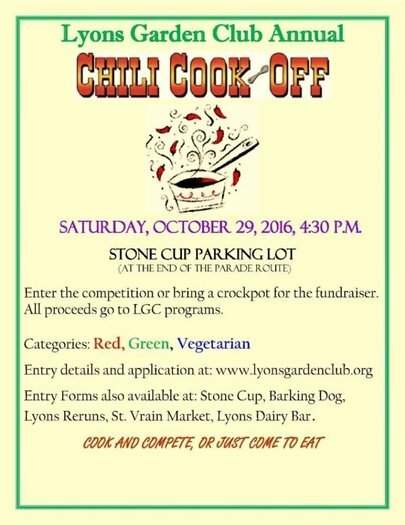 Come out and help support these events. A good time will behead by all! Interested in volunteering? 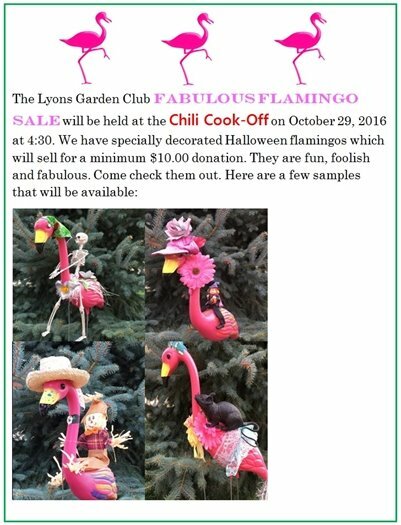 Please contact Marissa Davis at recreation@townoflyons.com to reserve a slot. Every volunteer is greatly appreciated! On Saturday, Oct. 22 from 10 a.m. to 2 p.m., the Boulder County Sheriff’s Office and the Drug Enforcement Administration (DEA) will give the public an opportunity to prevent pill abuse and theft by ridding their homes of potentially dangerous expired, unused and unwanted prescription drugs. The DEA cannot accept liquids, needles or sharps, only pills or patches. The service is free and anonymous, no questions asked. This initiative addresses a vital public safety and public health issue. Medicines that languish in home cabinets are highly susceptible to diversion, misuse, and abuse. Rates of prescription drug abuse in the U.S. are alarmingly high, as are the number of accidental poisonings and overdoses due to these drugs. Studies show that a majority of abused prescription drugs are obtained from family and friends, including from the home medicine cabinet. In addition, disposing of unwanted medicines by flushing them down the toilet or throwing them in the trash, poses potential safety and health hazards. For more information about the disposal of prescription drugs, and for a complete list of all the October 22 Take Back Day collection site locations, visit DEA Office of Diversion Control. The Saint Vrain Creek Coalition and our consulting team, led by S2o Design and Engineering, will be hosting a public meeting for the Creek Rehabilitation Plan for Apple Valley project. The team will be presenting the preliminary project Alternatives Analysis and will be collecting comments and input from stakeholders. We hope to see you there! Erika Shioya, at eshioya.svcc@gmail.com / 303-774-4513. US 34 is now closed between Estes Park and Loveland from mile point (MP) 77—just east of Drake—to MP 80 (Cedar Cove Road). See a map of the closure area. The only vehicles permitted to travel through this work zone are emergency service vehicles and, at specific times of the day, people who live in the canyon or are doing business in the canyon. All other through traffic traveling between Estes Park and Loveland should take the posted detour route. View a map of this detour route. US 34 remains open to the east and west of this closure area, so anyone trying to get to a business on the east end of the canyon can still do so from the Loveland side, and anyone trying to get to a business on the west end of the canyon can still do so from the Estes Park side. This section of US 34 will be closed until late May 2017 so crews can do rock blasting work and haul off materials as part of the permanent repairs being made to the highway following the 2013 flood.